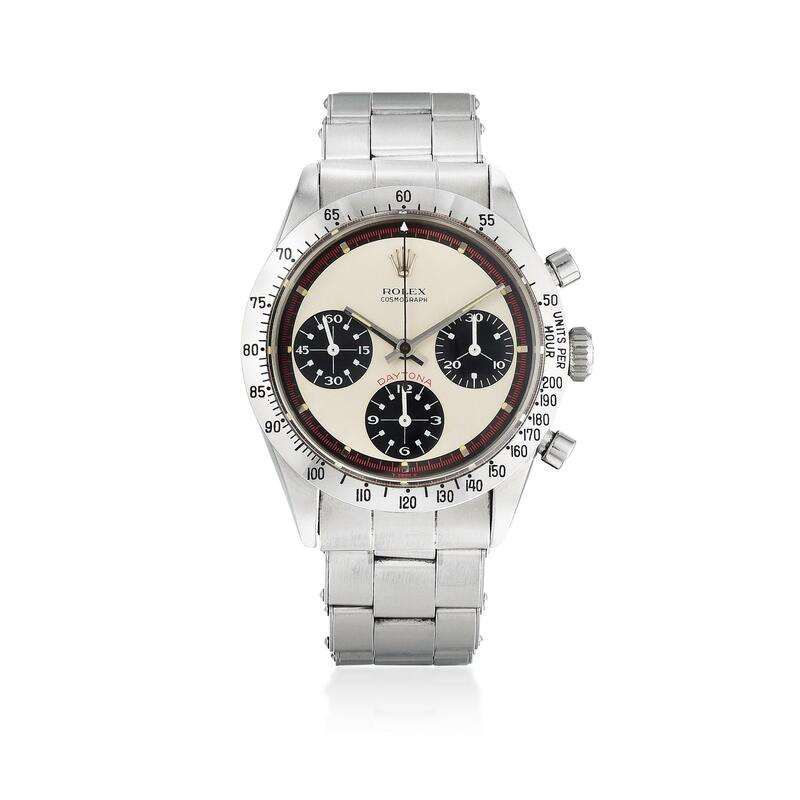 NEW YORK, NY— Fortuna Exchange: February Sale was a strong start to a new monthly auction series that Fortuna introduced in 2019, offering collectors a broad range of fine jewelry and watches from celebrated makers across all eras. The Fortuna Exchange was created to provide our sellers greater opportunities per year to sell their assets on a global platform, without the constraints or limitations of consigning their pieces to seasonal sales that are few and far between. With the addition of regular monthly auctions, alongside our larger signature sales that occur biannually, we are excited to offer our clients a year that is overflowing with rare and exciting fine jewelry and watch offerings. In fine jewelry highlights, signed jewelry performed very strongly—achieving a total sell-through rate by value of 85.4%. In particular, the cover lot, a very fine Cartier 6.69ct Burmese Sapphire and Diamond Ring, prompted a roar of competitive bidding. The property of a New York lady, the finely crafted ring achieved a final price of $65,625, exceeding a pre-sale estimate of $40,000-$50,000. All in all, jewelry by Cartier and Tiffany & Co. drew the attention of bidders across the globe, achieving sell-through rates by value of 81.5% and 84.6% respectively. 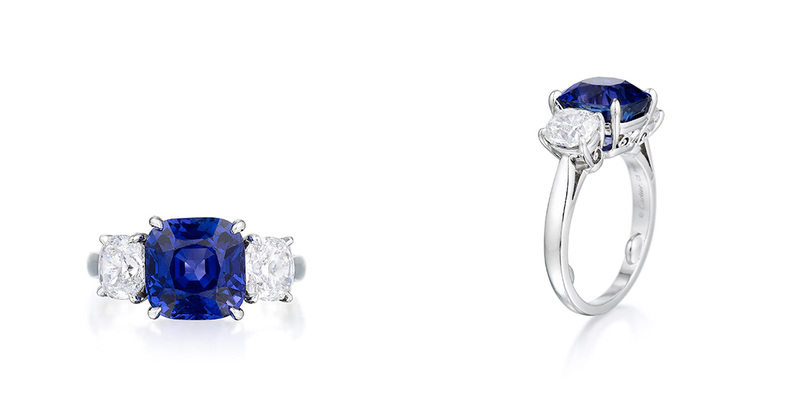 A Cartier Unheated Burmese 6.69ct Burmese Sapphire and Diamond Ring. Achieved $65,625 at auction, against a pre-sale estimate of $40,000-$50,000. 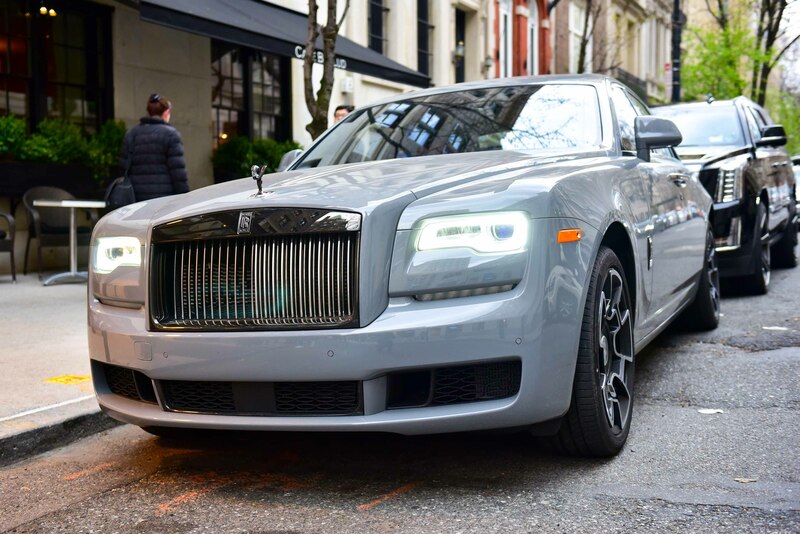 On April 12, 2018, Fortuna hosted an intimate cocktail party in partnership with Rolls Royce Motors and The Surrey Hotel, celebrating the life and unparalleled jewelry collection of Bo Legendre at the presidential suite of The Surrey Hotel in New York City. Rolls Royce town cars await outside The Surrey Hotel to transport guests to and from Fortuna’s highly anticipated event. The elegance and understated luxury of one of The Surrey’s finest living spaces provided the perfect atmosphere for guests to lounge and thoughtfully appreciate the stars of the show—a few dozen of the most important offerings from The Estate of Bo Legendre, resting serenely within towering, pristine glass vitrines. Of the rare jewels displayed, some of the most coveted were jewelry pieces designed by the legendary French designer, Suzanne Belperron, and stunning Art Deco Cartier jewels. Fortuna’s auction of the jewelry collection of Bokara “Bo” Legendre achieved overwhelming success with a sale total of more than $1.6 million, and selling 100% of the lots—a remarkable feat rarely achieved at auction. On April 25, Fortuna hosted The Estate of Bo Legendre in their Fifth Avenue showroom, where a packed room of bidders watched as intense bidding wars erupted over nearly every lot. Fortuna’s Spring auctions offered hundreds of rarities from private collections and estates, attracting strong bidders from over 40 countries. 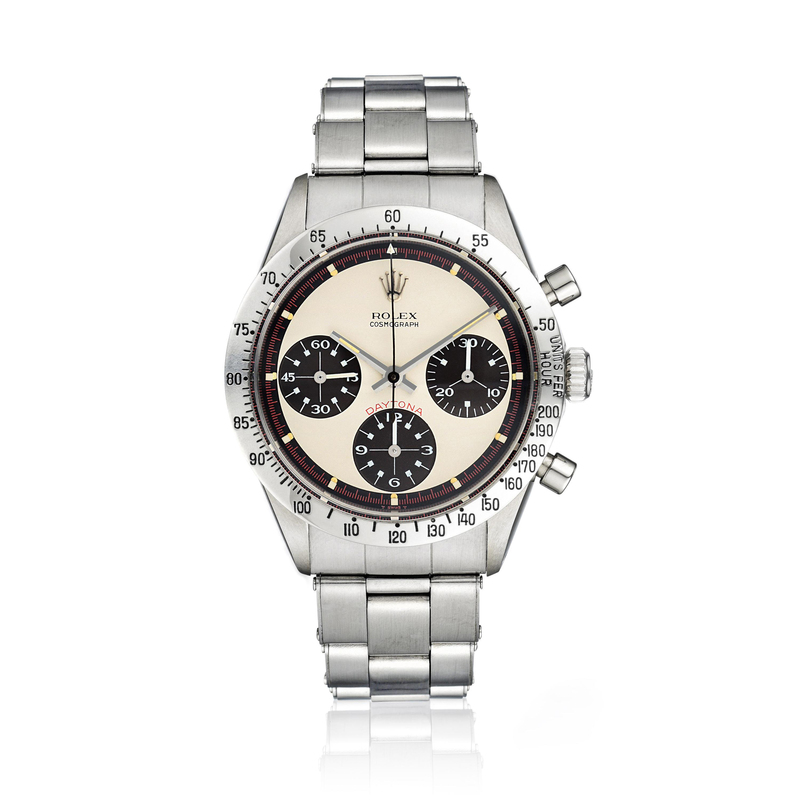 The Important Jewels & Watches sale took place on April 26, 2018, following the phenomenal success of The Estate of Bo Legendre sale. The widespread interest for Fortuna’s second sale in its Spring Auctions Series contributed to the overall momentum of the rapidly growing auction house. 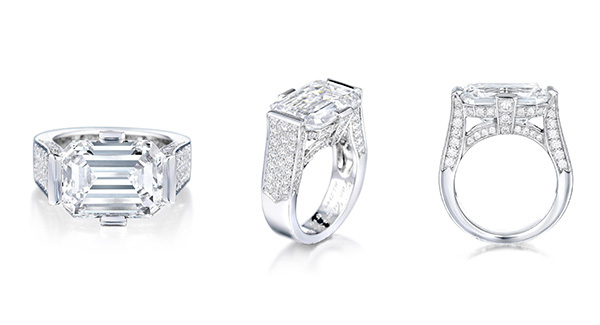 Over $1.5 million in fine jewelry and watches were sold, along with an impressive 78% sell-through rate. 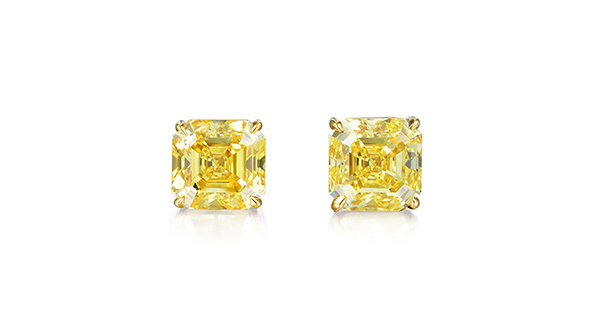 A Pair of Fancy Vivid Yellow Diamond Studs, 4.04ct Total. Achieved $87,500. All prices include buyer’s premiums. In their first-ever Magnificent Jewels auction, Fortuna shattered their previous sale records, with the sale realizing a total of $2.3 million, selling 70% by value. With strong interest around the globe, registered bidders came from 41 countries across six continents. The top price achieved in the sale was $994,000 for a rare 10.33ct D Color Internally Flawless emerald cut diamond ring by Van Cleef & Arpels. A 5.01ct D IF Emerald Cut Diamond Ring. Achieved $200,000. Fortuna’s strength in the Asian market continued to shine, with three of the six highest grossing lots being sold to Asian private collectors. “There is a burning desire for important jewelry and gemstones in Asia that far surpasses what we see in the American and European markets. Many of our Asian clients are actively building large private collections, and are very proactive in acquiring large flawless diamonds, gem-quality untreated colored stones, and rare signed pieces. We consistently sell our cover lots and sale highlights to these collectors,” said Anna Lin, Fortuna’s Director of Fine Jewelry, Asia. 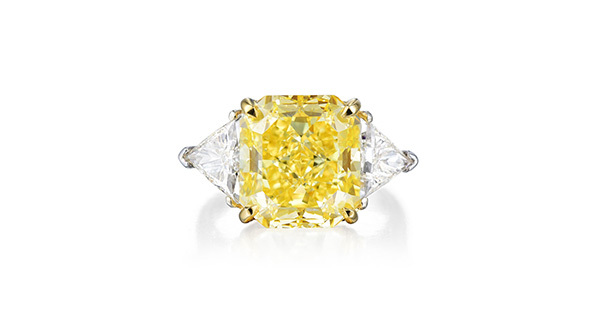 7.65ct Fancy Vivid Yellow Diamond Ring. Achieved $237,500. Important fancy yellow and colorless diamonds stole the show: a pair of Fancy Vivid Yellow diamond ear studs weighing 2.02cts each achieved $81,250, a 7.65ct Fancy Vivid Yellow diamond ring achieved $237,500, a 5.01ct D Color Internally Flawless emerald cut diamond ring achieved $200,000, a 3.05ct D color Internally Flawless marquise cut diamond ring achieved $81,250, and a pair of diamond cluster earrings achieved $75,000. Oscar Heyman Brothers Art Deco Bracelet. Achieved $27,500. 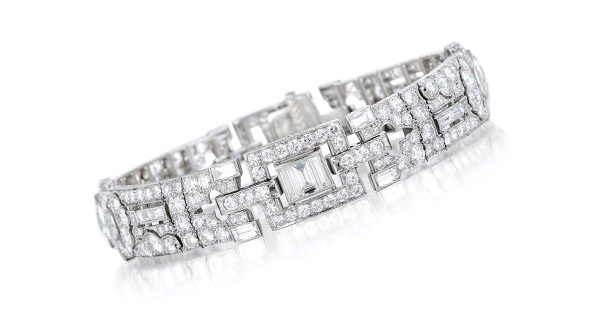 Intense bidding wars erupted for many of the lots including an Art Deco diamond bracelet by Oscar Heyman Brothers which sold for $27,500—nearly three times its low estimate, and a Retro charm bracelet that brought $11,875, triple its low estimate. “Excitement and energy filled the auction room. Many of the lots garnered very intense bidding, going far beyond the opening bid. It was a phenomenal sale for us to end the year with, and we look to 2018 with confidence and optimism,” said John Saxon, Fortuna’s President. 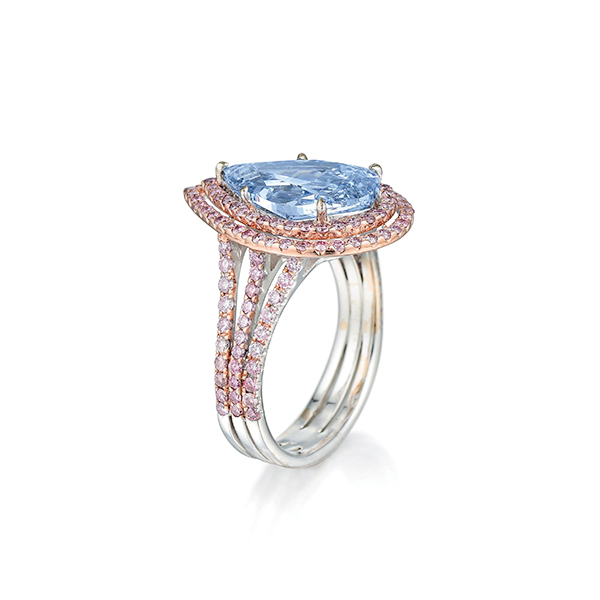 Van Cleef & Arpels 10.33ct D IF Diamond Ring. Achieved $994,000. The cover lot and highlight of the sale was the 10.33ct D Color Internally Flawless emerald cut diamond ring, by Van Cleef & Arpels. 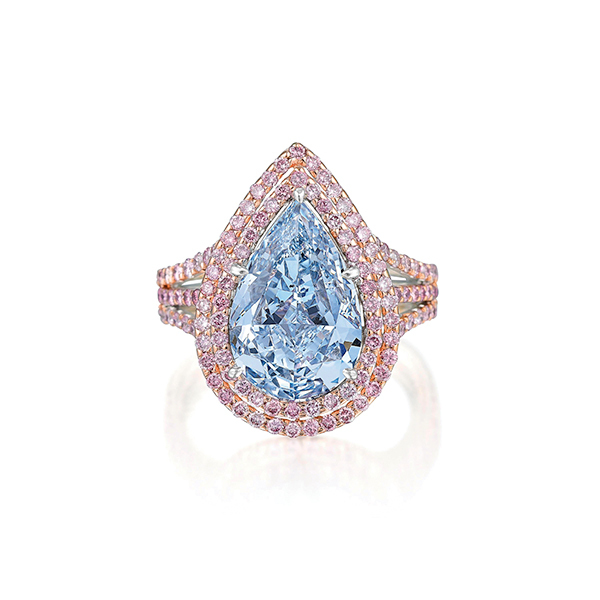 The 10.33ct diamond ring was consigned by an affluent collector on the West Coast, and created a buzz of excitement among diamond collectors and connoisseurs. Not only was the diamond graded as the top color and clarity, but was also determined to be Type IIa. Often called “Golconda” diamonds, after the famous mine in India, Type IIa diamonds are the most chemically pure and are highly sought after by collectors. The chemical purity makes a D grade stone look even whiter than other D grade stones, and often gives them a transparent, watery appearance—making them a true treasure to collectors. 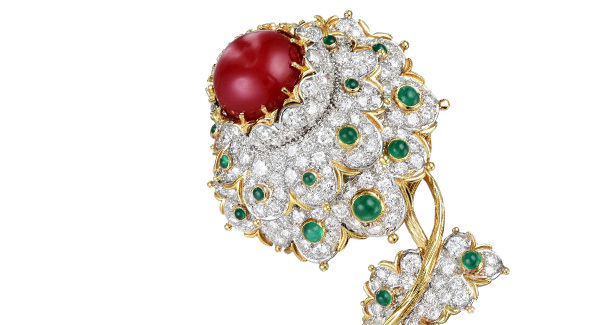 Cartier Coral Diamond and Emerald Brooch. Achieved $21,250. 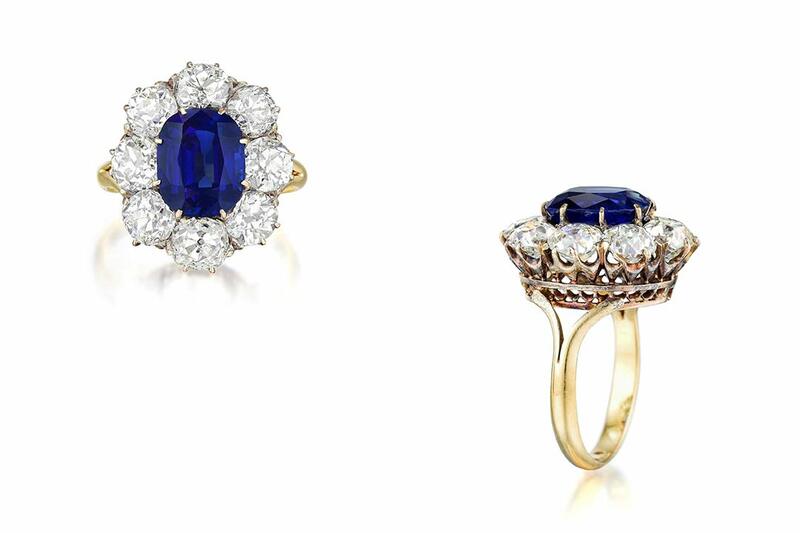 The successful Magnificent Jewels auction wrapped up a record-breaking year for Fortuna. Overall sale revenue was up over 300% from 2016, and the recent December auction grossed over 500% more than the December auction of 2016. Fortuna’s no-risk approach to selling, along with their base of private collectors in Asia, has attracted increasing numbers of affluent clients seeking assistance in selling their jewelry and gemstones. 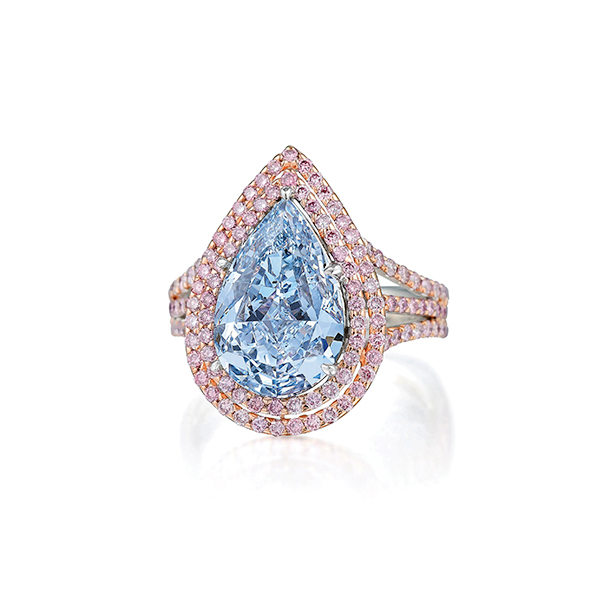 “This Magnificent Jewels sale is a major milestone for us. The performance of this sale and the caliber of jewelry and gemstones we sold has shown our strength in selling very important jewelry. We have already seen an increase in private clients contacting us to sell their higher value items,” said Seth Holehouse, Fortuna’s CEO.